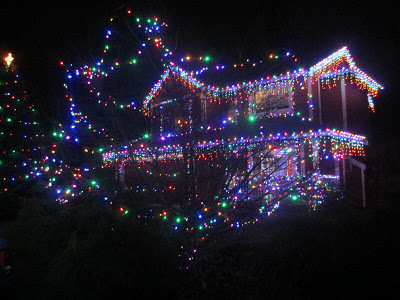 Much of the town seems dead on Christmas unless one has nearby family and, of course, except for the lights. 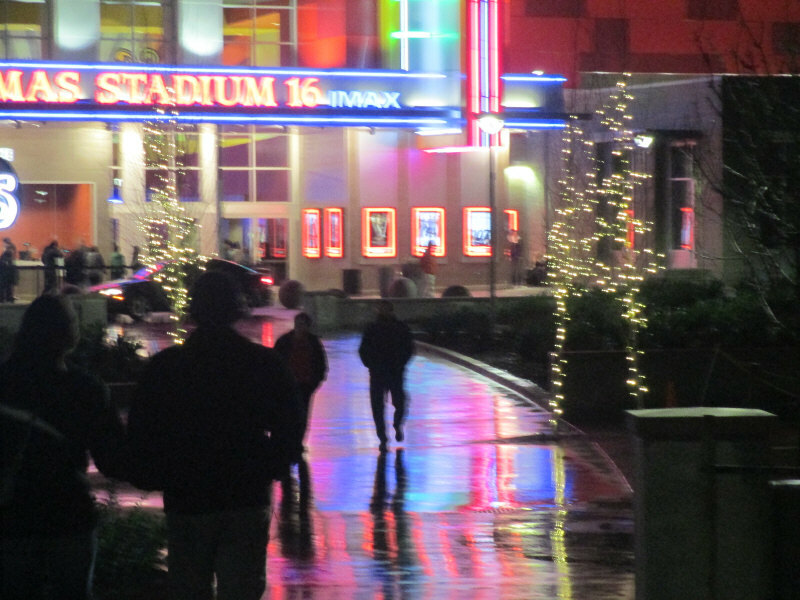 These aren't even Christmas lights, but theater lights at Bellingham's new 16 screen cinemaplex. 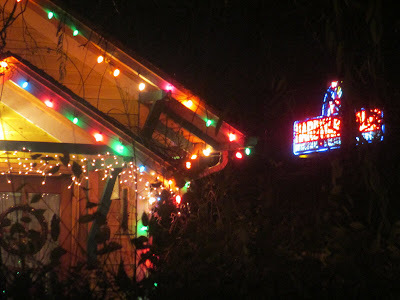 It was bustling. Parking lot full, people milling about and lights reflected on moist sidewalk to give the affect of a rainbow path to the city of Oz. 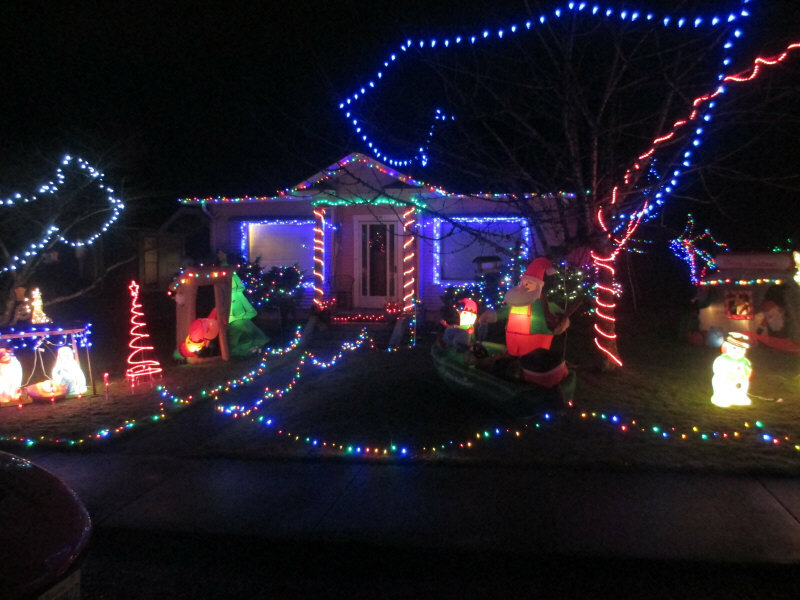 And there are those home dwellers that go all out. House with neon sign for Hardware Sales in background. 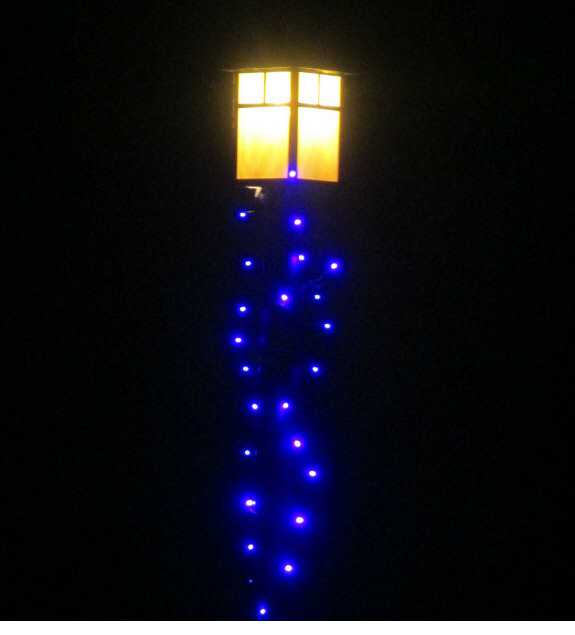 Reminders of the shopping frenzy. 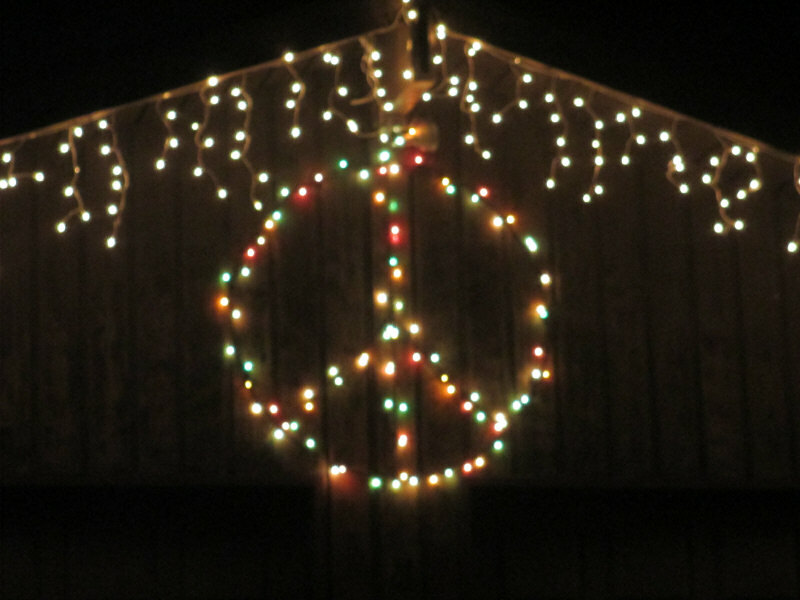 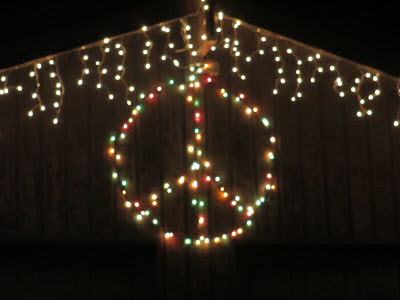 Another peace sign in Christmas lights. These are fairly common in Bellingham.